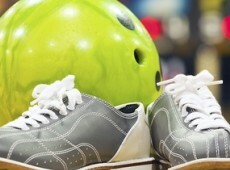 Two Hours of Bowling with Shoes, Soda, and Chips at Johnson's Duckpin Lanes (Up to 76% Off). Three Options. Reg: $74.30|Save 74%|$19 AMF Bowling Co.
Reg: $54.70|Save 65%|$19 AMF Bowling Co.